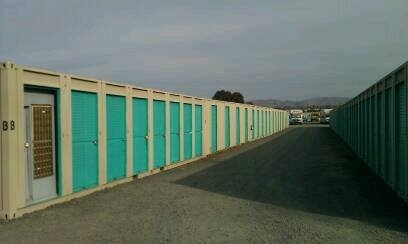 Pacheco Mini Storage offers clean and secure units to accommodate any of your self storage needs. Our facility is well lit with a fenced perimeter and accessible 7 days a week. We also provide U-Haul truck rentals onsite for your convenience. 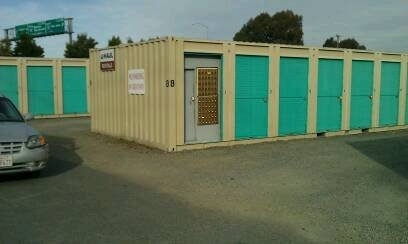 Unit rentals require a security deposit prior to move in. Great facility, cheap and secure. Friendly and helpful staff! They always are willing to help and made the move in process easy. very happy with my choice. thank u sparefoot for helping me find the lowest rate in town. I'm sorry that you had an unpleasant experience with us. We clearly state the business hours before we fill out the lease incase the time doesn't work for you. I am unaware of a filthy porta potty, because we have been told by many customer's that we have the cleanest porta potty they have ever seen. We do have it professionally serviced every week, as well as the staff checking to make sure it is clean and supplied with toilet paper. You are more than welcome to wash your hands in the sink, we just cannot have people doing any personal hygiene or grooming as the water is hooked up to the sink through a hose. We also walk the grounds and pick up any garbage and I have not seen any drug paraphernalia, but if you happen to see any do not hesitate to come into office and let staff know. The staff is unprofessional and just plain lazy.. Treated me very well, and I am satisfied.